Matthew: Jon, thank you for taking time to chat with us today. For those who may not be as familiar with you, could you introduce yourself, your family and your history with SG music? Jon: Thanks for the opportunity to talk with you, Matthew. 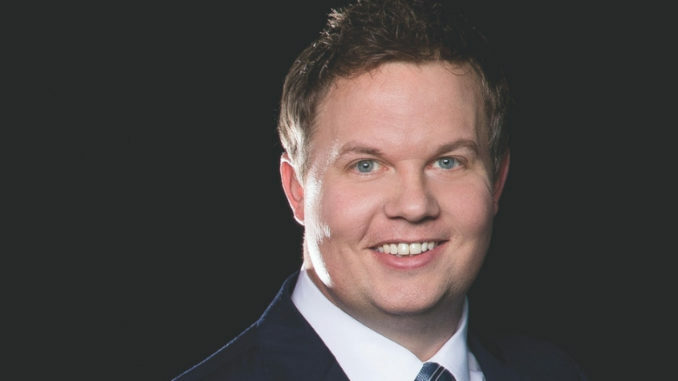 I am Jon Epley, and my wife is Tiffany Epley. We have been married for 12 years, and live in Johnson City, TN. I have been singing Gospel music most of my life. My parents had me on the platform at 2 years of age, in my dad’s arms, putting in little parts that I had learned on the song “Excuses.” My family started traveling full time and singing when I was a teenager. I then went on to sing with several traveling college and church groups, and after marrying my wife we went on the road full time for 2 years singing together. In 2010 I joined The Inspirations singing baritone. After I had been there about 3 years, Mike Holcomb retired from the group and I started singing bass. In 2015 I left The Inspirations and joined the Ball Brothers as their bass singer. 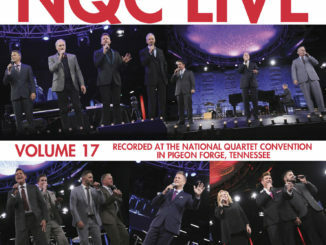 At the beginning of 2016 I joined the LeFevre Quartet to sing bass, and spent several months there. In April of 2017 I joined Greater Vision singing the baritone part, and that is where I am now and I love it! ML: You are singing with Greater Vision and having a blast. What do you admire most about this group of men? 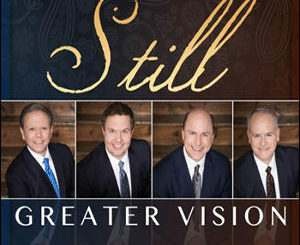 JE: I have always loved Greater Vision’s music, and greatly admire their consistency. After 28 years, these guys still manage to stay relevant musically without compromising their style or alienating there long time fan base. That’s a great accomplishment. They are also just great and fun guys to travel with. I count them all dear friends, and feel honored to be here! ML: Out of all the songs you’ve sung in your entire course of SG music, what song still speaks to your heart as much as it did the first time you sung it and why? JE: That is one of the toughest questions I am asked, because I have so very many songs that I love. I guess one song that remains a favorite through my whole life is “What a Friend We Have In Jesus.” I think it’s one of the most encouraging songs, no matter what’s happening in life. ML: If you could have recorded any song that another artist recorded in our genre, what would that song be and why? JE: Another tough one! It might be “How Much More” by Rusty Goodman. That’s one of my all time favorite songs ever recorded, and my dad also sang it when I was younger so it’s extra special to me. ML: What is God currently teaching you in this season of life? JE: That if you are patient and don’t rush decisions, you will be so happy with the plan for your life that God is unfolding. ML: What is your favorite kind of coffee? God likes coffee a lot, you know.